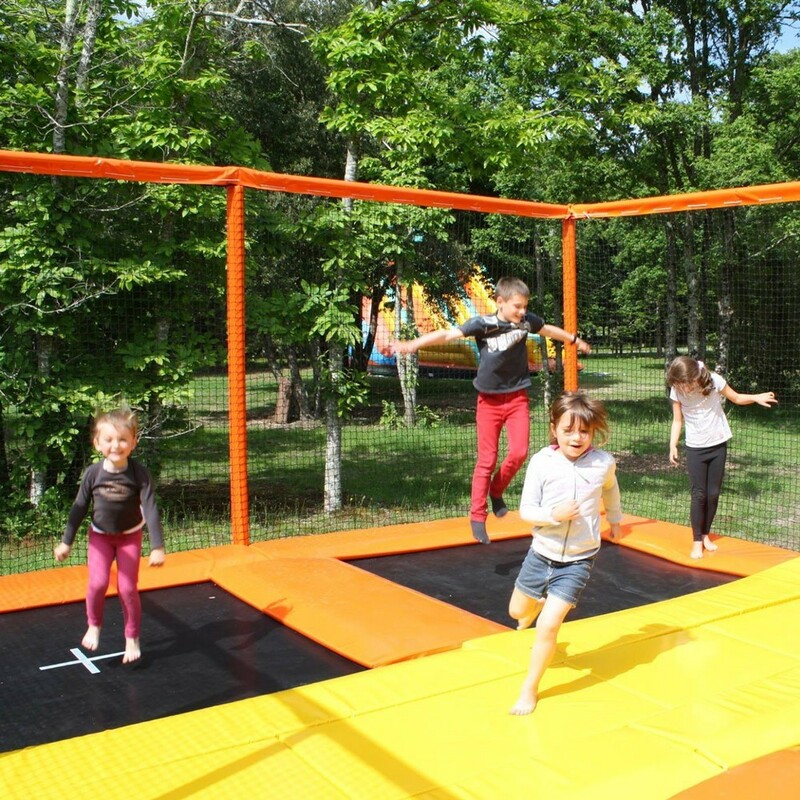 Choose France Trampoline's square Aero battery of trampolines for new entertainment fun! 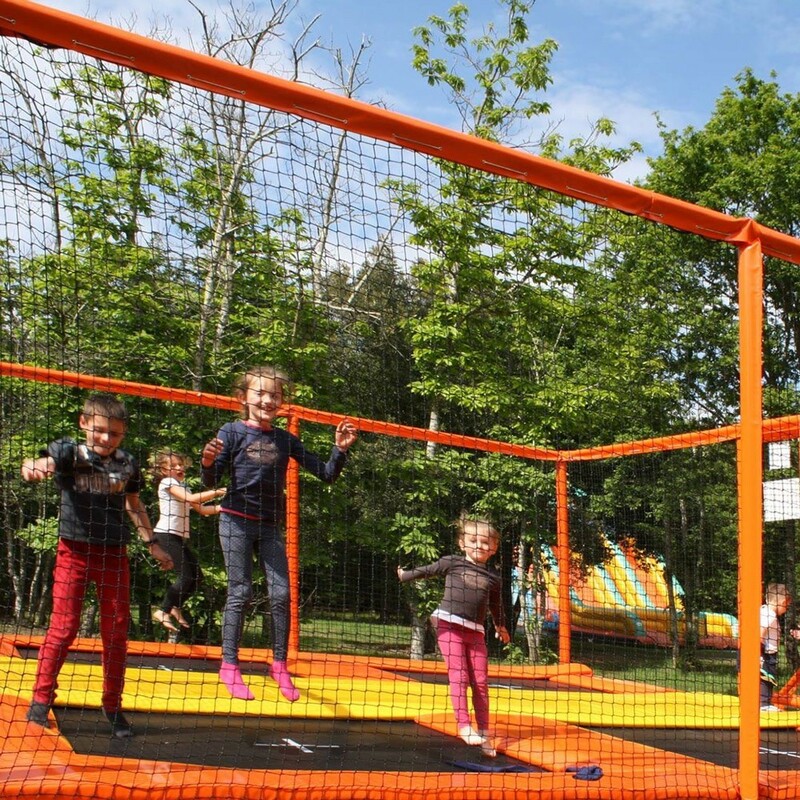 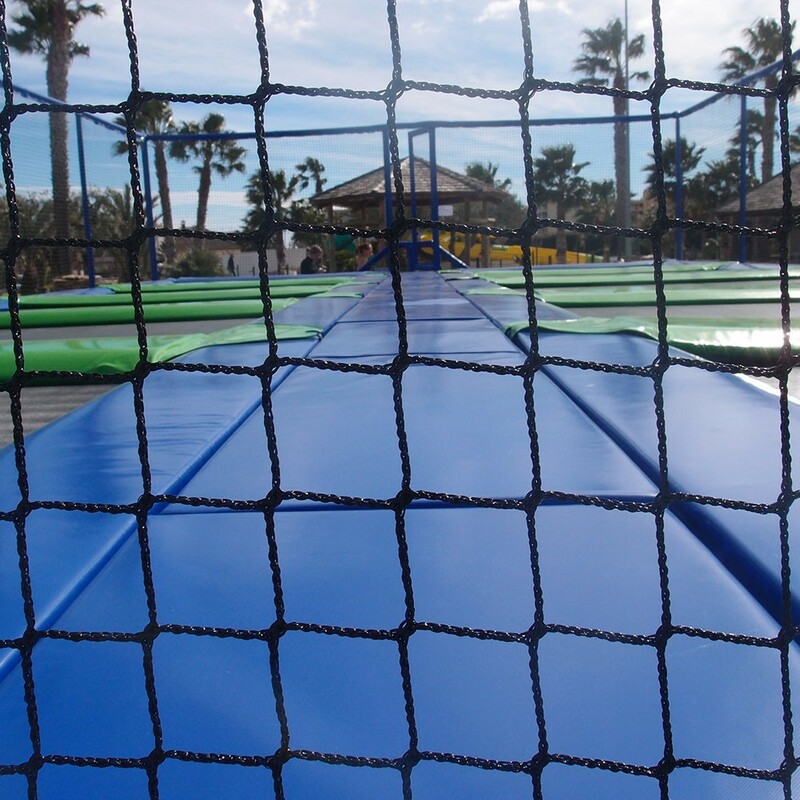 Battery of trampolines are very popular in campgrounds, leisure centres, and amusement parks, and allow several children to safely jump on them at the same time. 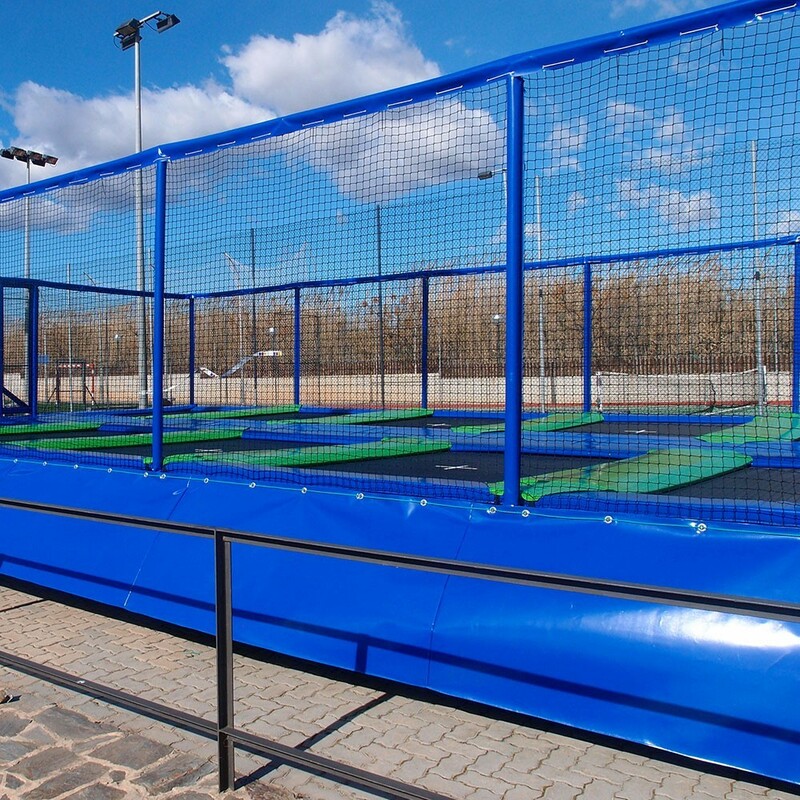 France Trampoline accords special importance to the quality of its battery trampolines for public use. 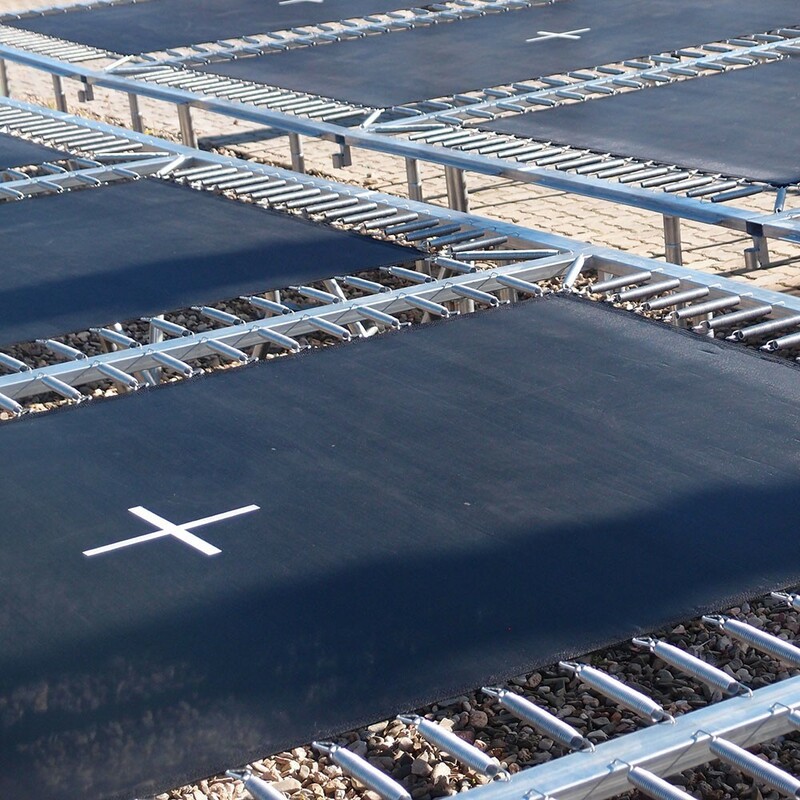 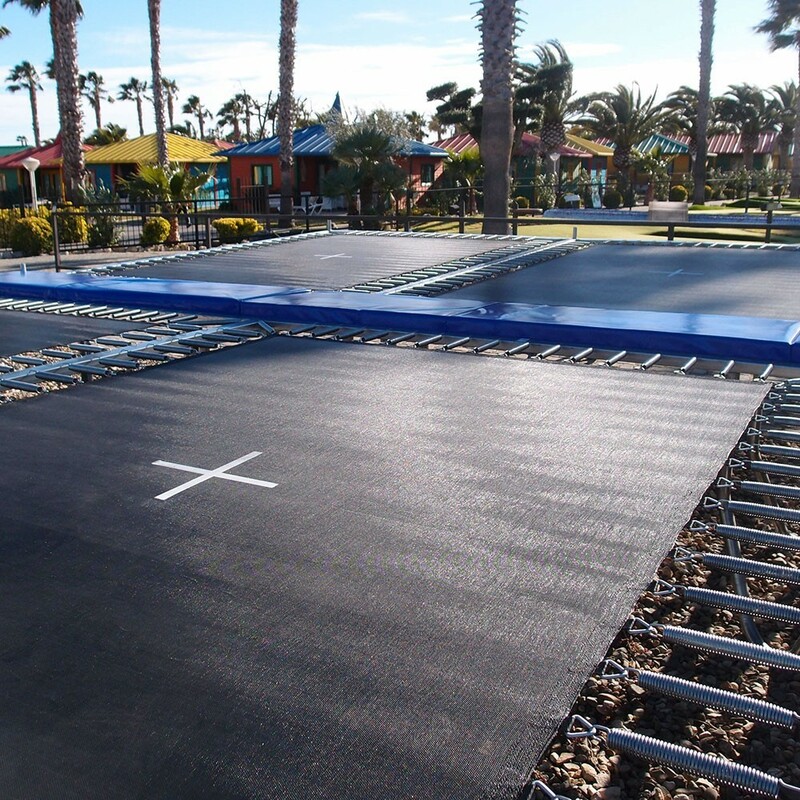 The materials used in the design and manufacturing of these square Aero battery trampolines are selected for their resilience to withstand the trampolines' intensive use, and built to last a long time. 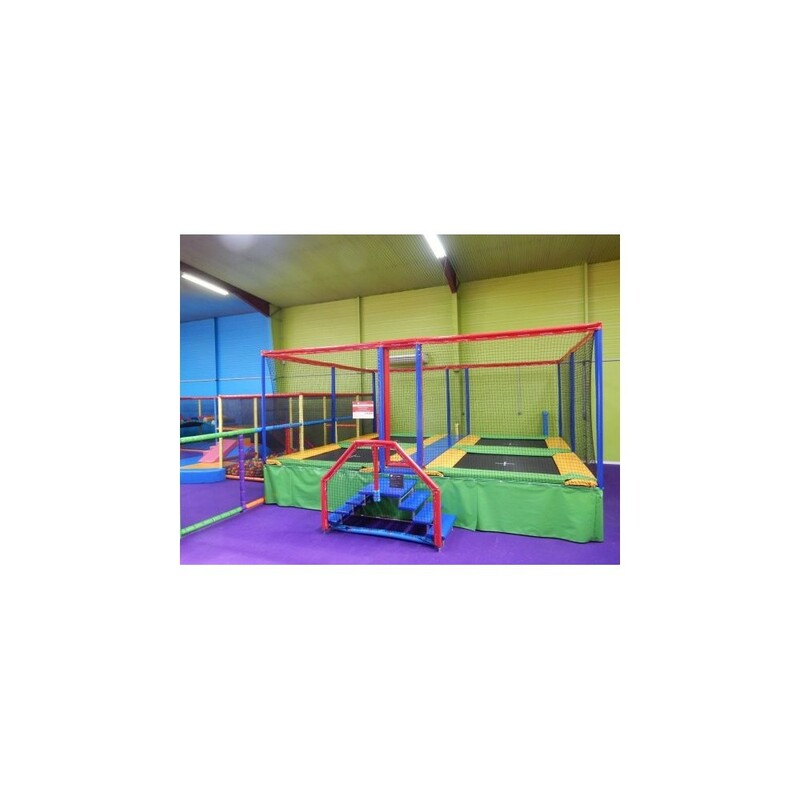 - The Aero 265 batteries allow for the installation of 2 to 10 square trampolines in one single, safe, fenced-in play area. 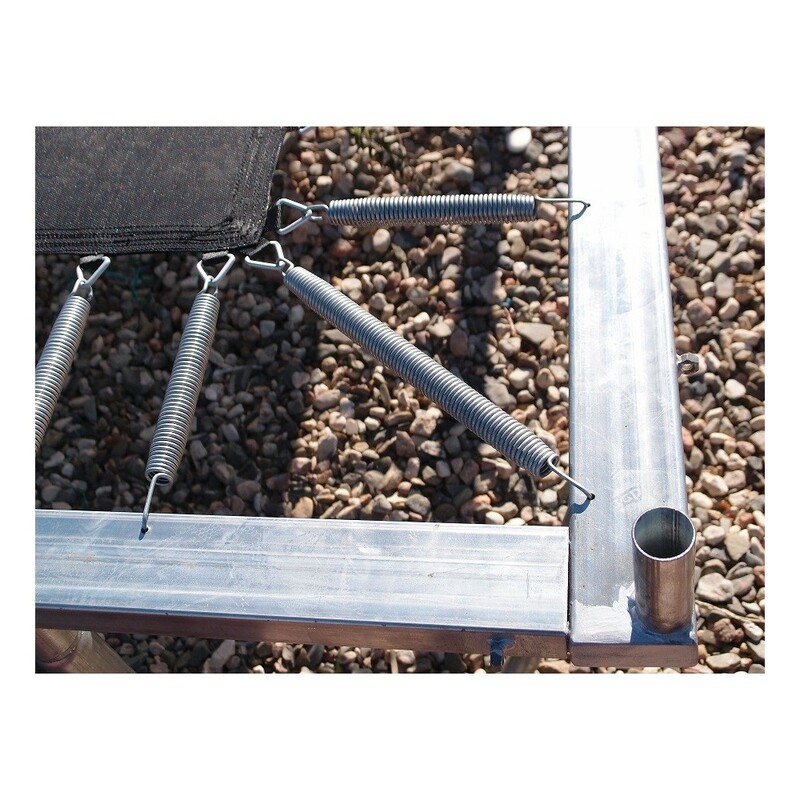 The trampolines' frames are made of 2-mm thick, hot-dipped galvanized steel. 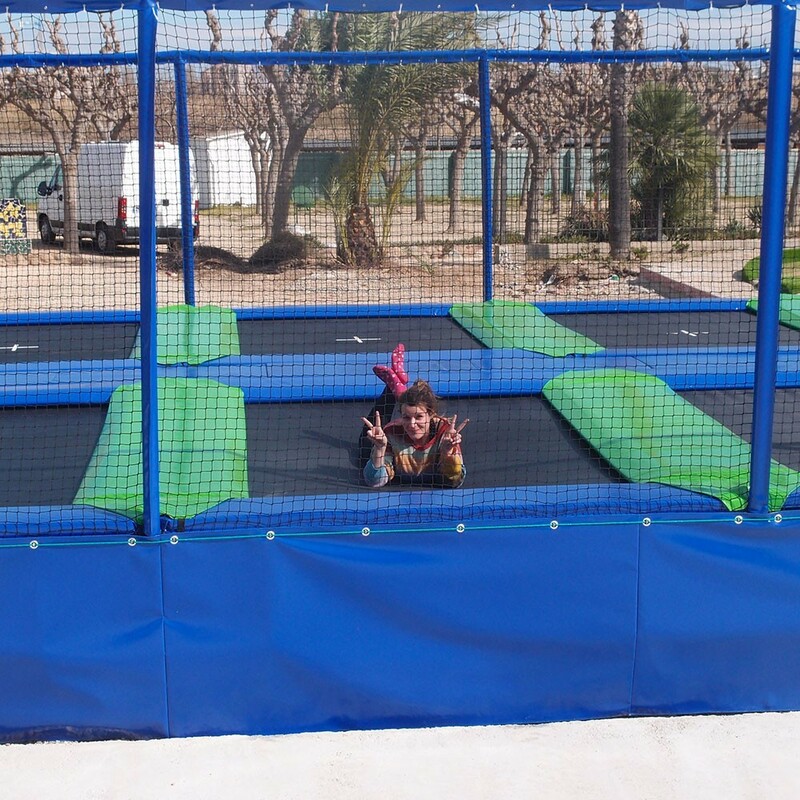 - Each Aero 265 trampoline's jumping pad is designed in mesh to withstand intensive, repeated jumping. 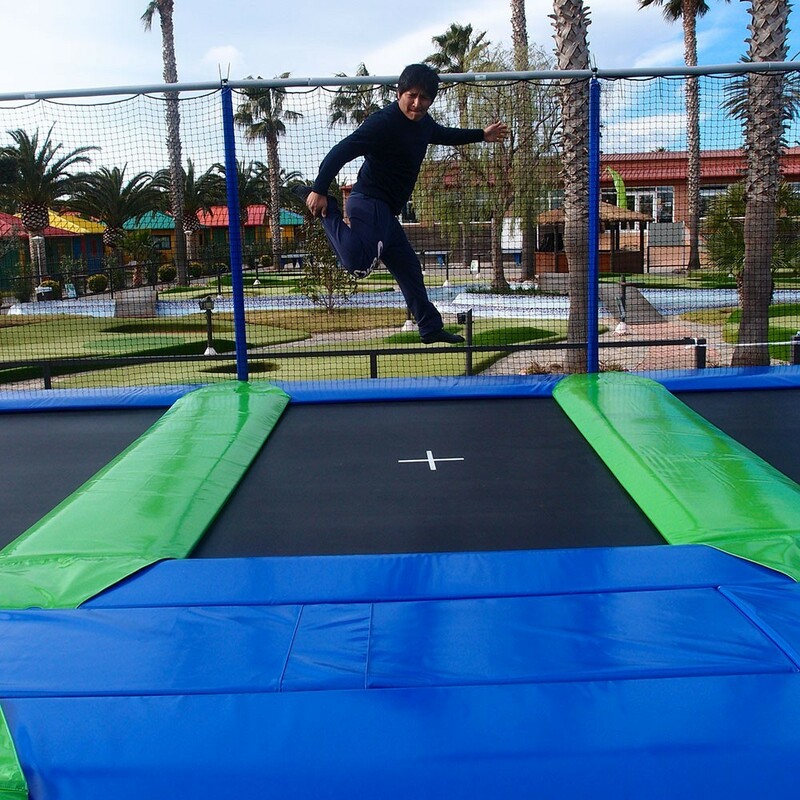 Each jumper enjoys a jumping surface area of 3.76 m². 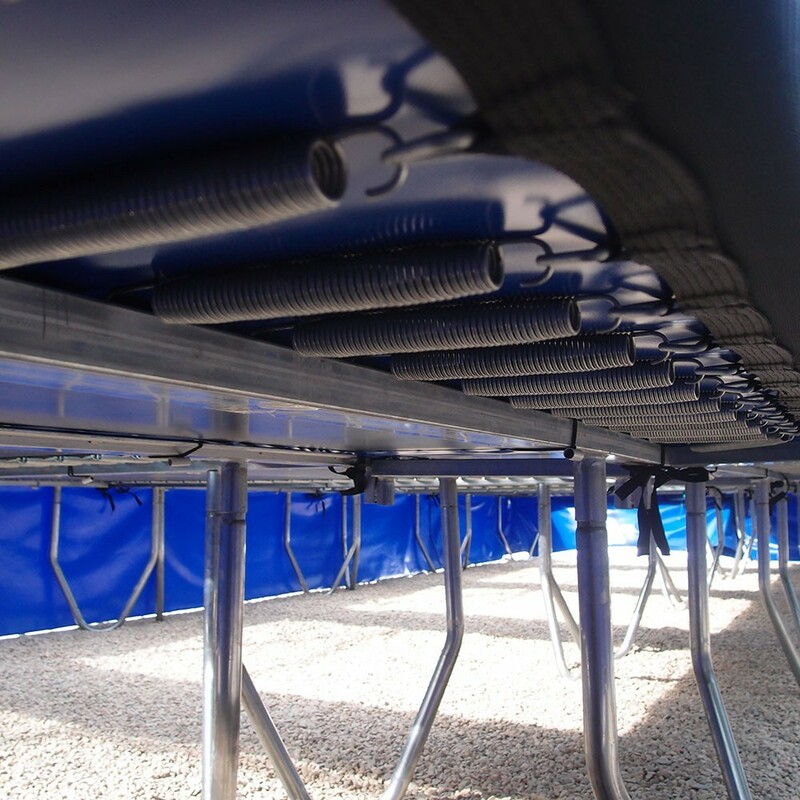 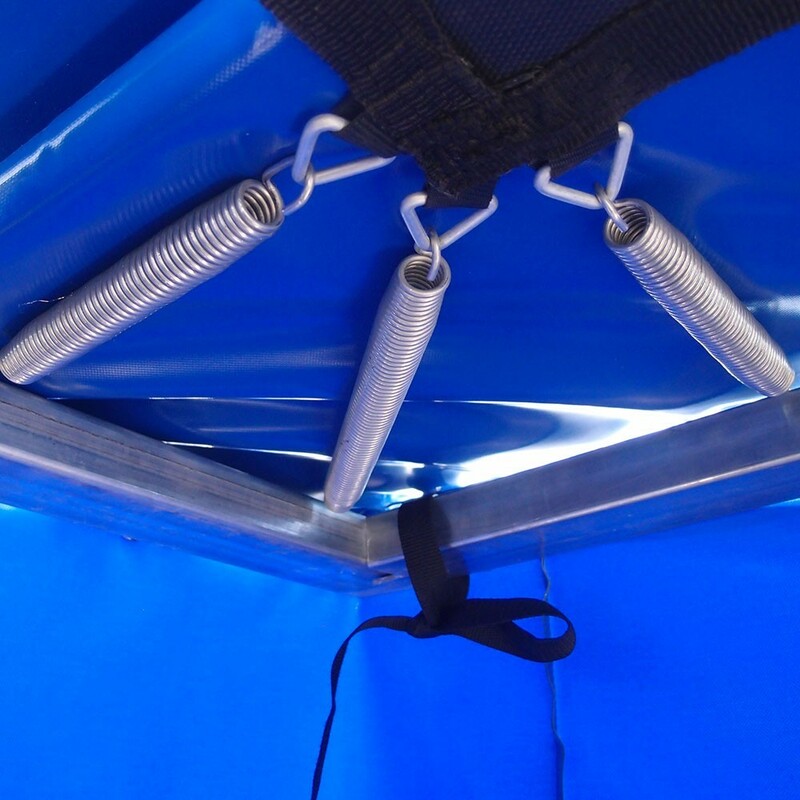 The jumping mat is fastened to the springs with triangular, unwelded, galvanized steel rings, held in place by sturdy reinforcement straps. 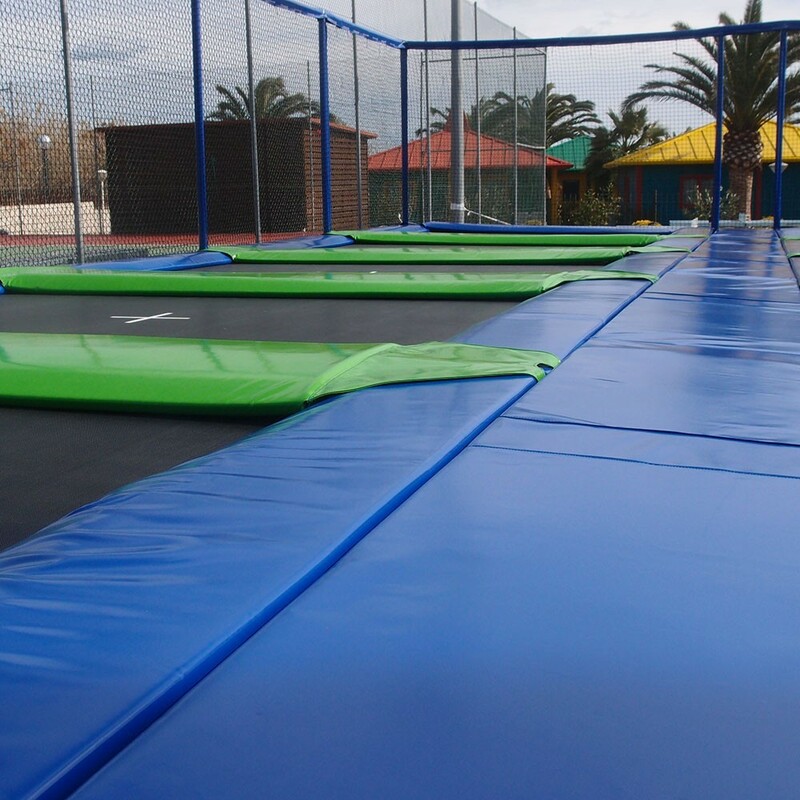 - Thick safety pads completely cover the trampoline springs to cushion any bad falls. 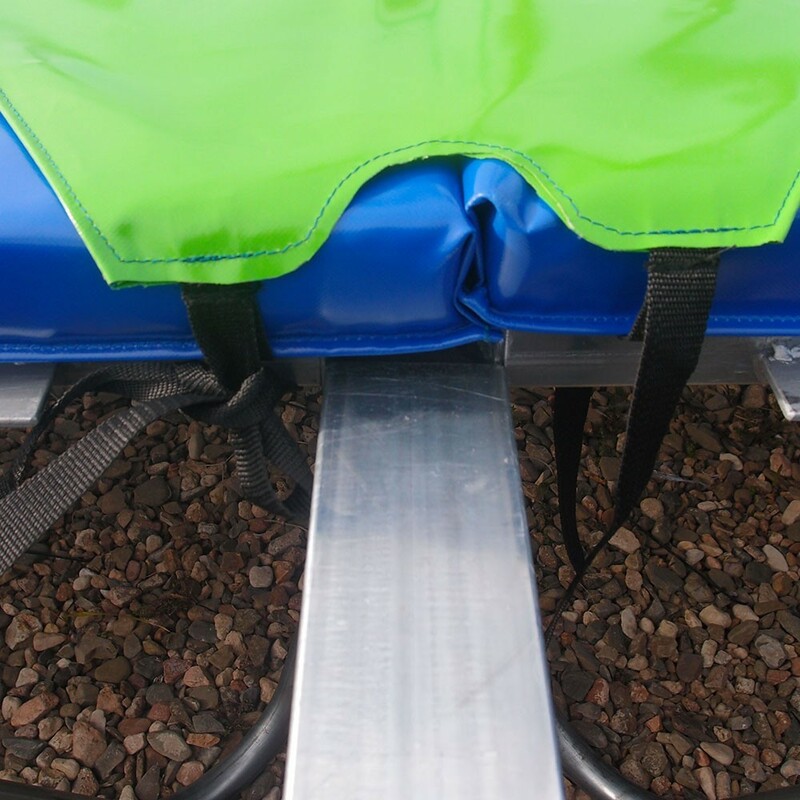 These thick, PVC-covered pads are available in blue, green, red, orange, and yellow. 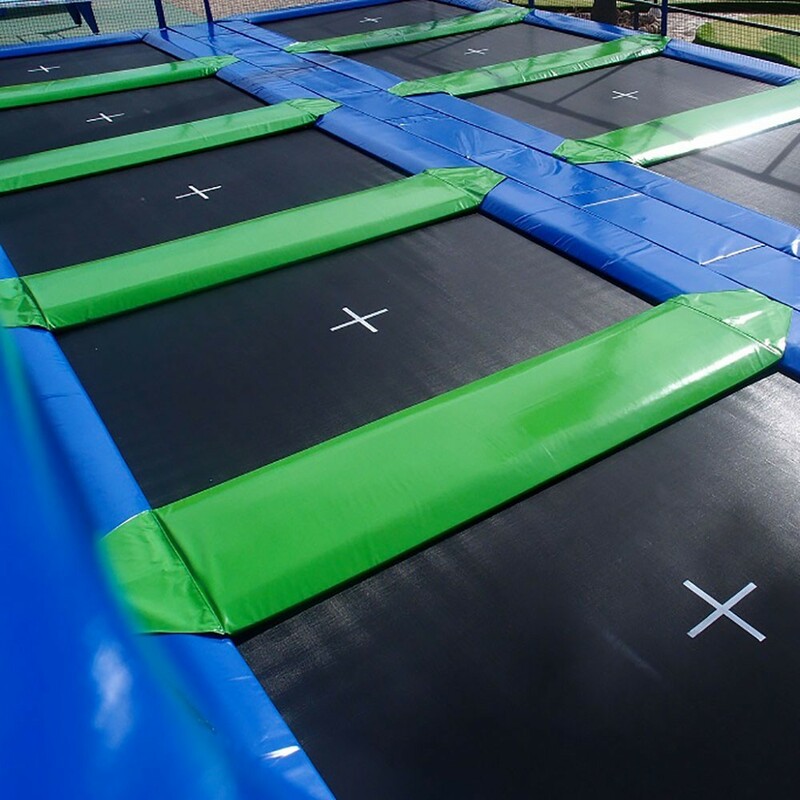 - A polyester safety enclosure completely surrounds the Aero 265 battery of trampolines to ensure the safety of jumpers of all ages. 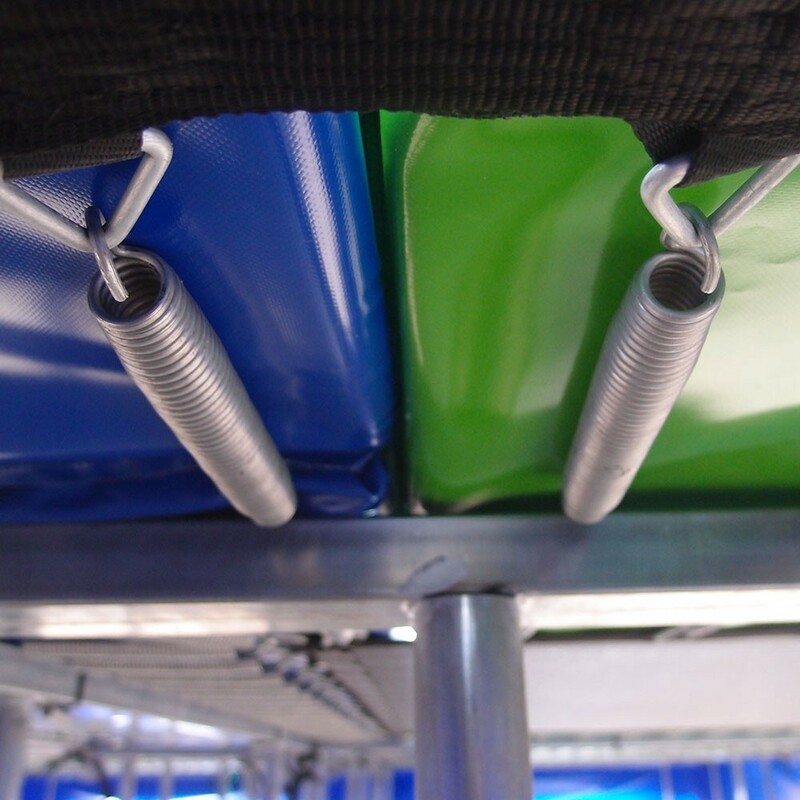 - Each jumping mat of the Aero 265 trampolines is equipped with 56, 215-mm springs (and an additional 4, 300-mm springs in the corners) to guarantee safe, optimal jumps. 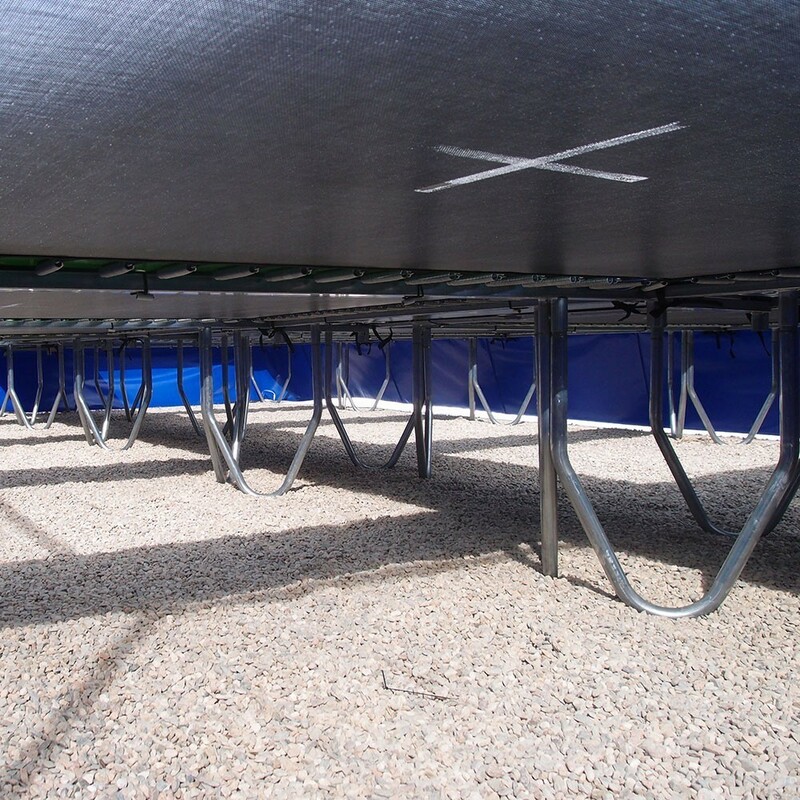 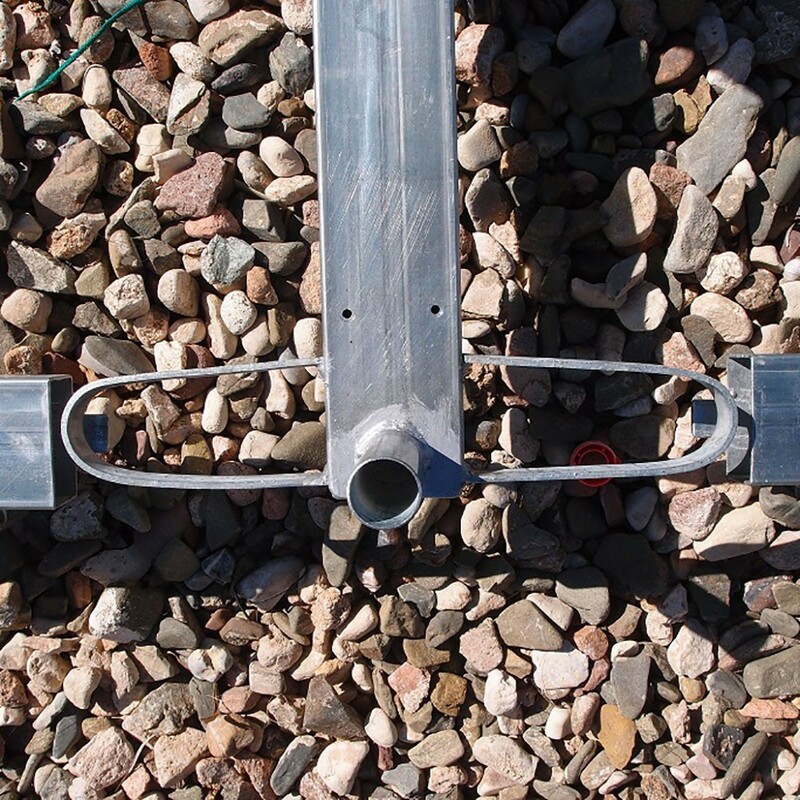 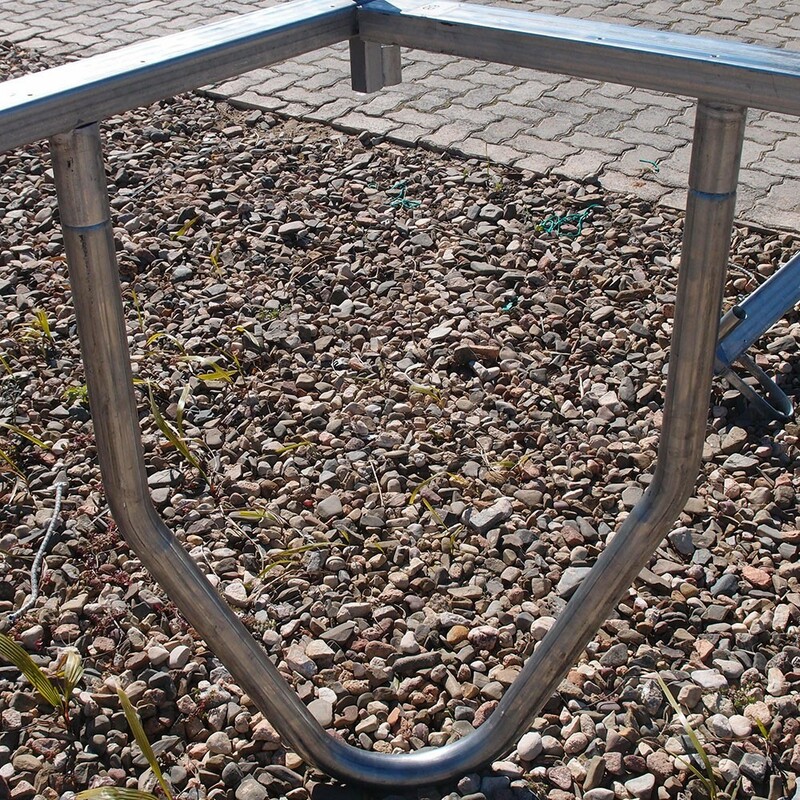 The springs are made of hot-dipped galvanized steel to make them highly corrosion-resistant. 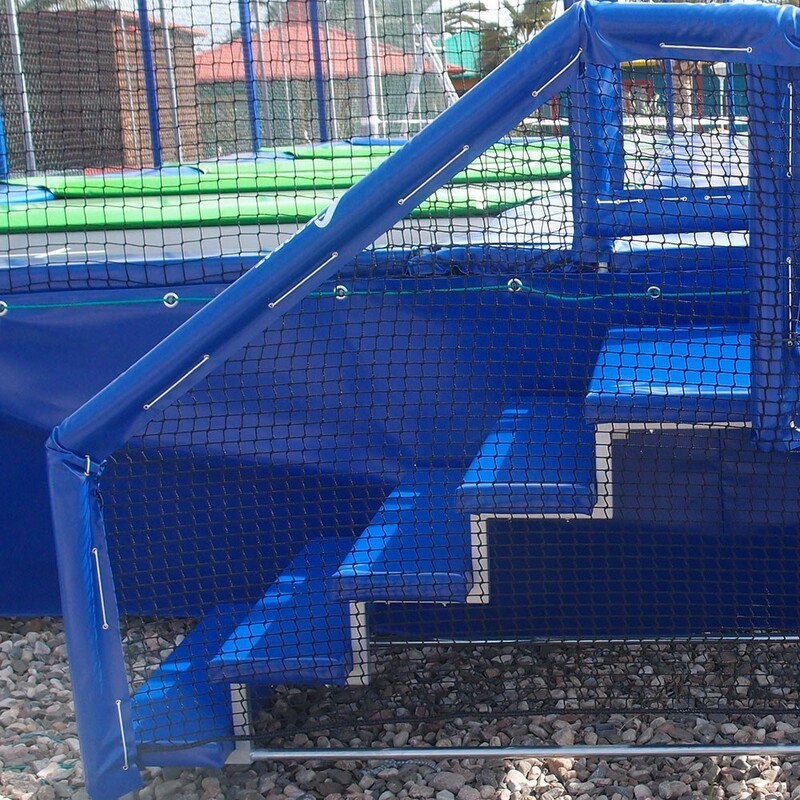 - All other parts of the Aero 265 battery of trampolines are designed not only for the fun but also for the safety of the users in mind: Dual-access steel stairs with foam-covered steps; a hinged entrance gate that can be padlocked, and a thick PVC skirt preventing any and all access below the trampolines.